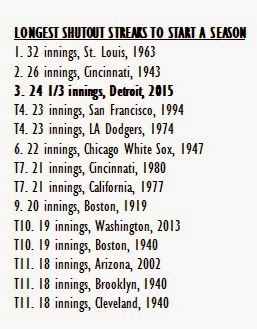 It took 24 1/3 innings but the Detroit Tigers finally surrendered a run in 2015. Minnesota's Kennys Vargas doubled to left center with one out in the seventh inning, but Joe Mauer only scored when left fielder Yoenis Cespedes somewhat booted the ball and allowed it to get past both himself and center fielder Anthony Gose. Due to the next two batters striking out and flying out the run remained unearned. So, we can all blame Cespedes for snapping the streak that should be at 27 innings right now. 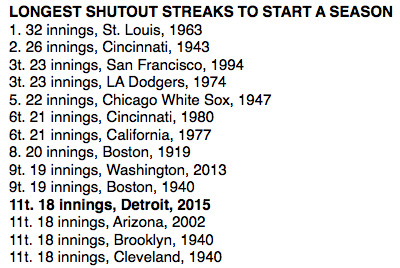 The streak puts the Tigers third on the all-time list (since 1900), trailing only the 1963 Cardinals (3+ games, 32 innings) and the 1943 Reds (2+ games, 26 innings). Detroit is the king of the American League, however. 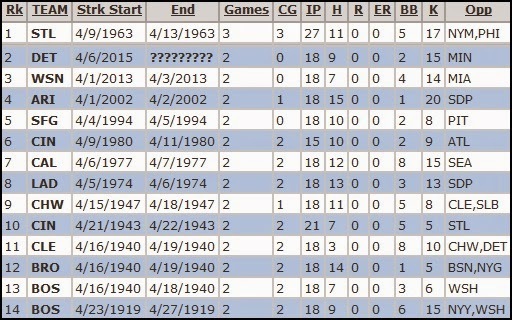 The 1947 White Sox were the previous leaders with a 22-inning streak. 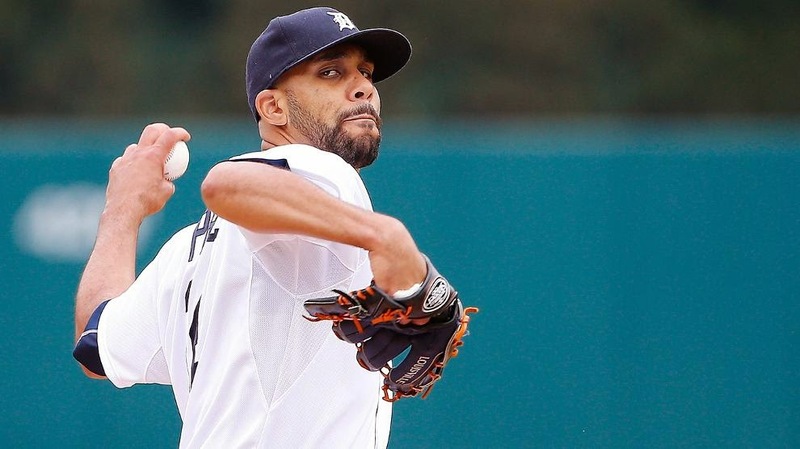 Here's the pregame story that detailed the Tigers and the streak heading into Thursday's game. 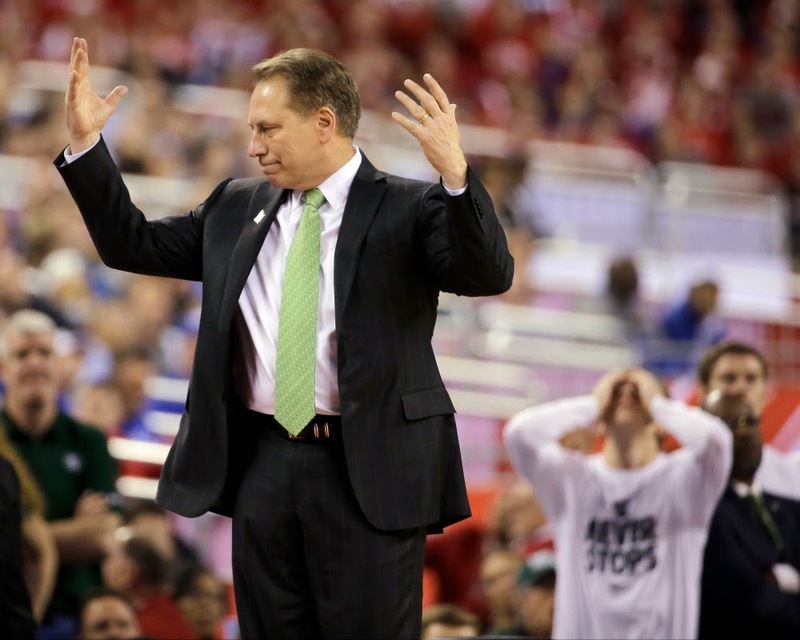 There are many ways you can categorize the worst* NCAA Tournament loss in Tom Izzo's 20-year reign at Michigan State. Disappointing would be fitting, if only because it seemed as if the Spartans played so tentative from the 15:00 minute mark of the first half to the 5:00 mark of the second half; those 30 minutes in between killed any chances for a win let alone a close game. 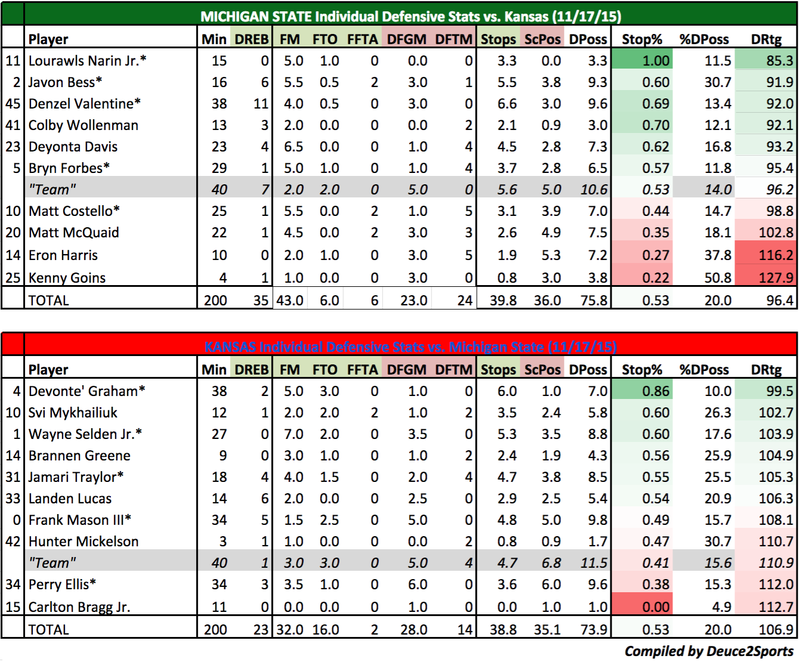 Surprising would be another, if only because MSU teams, despite talent disadvantages, typically fight to the end. This game was seemingly over early in the second half. 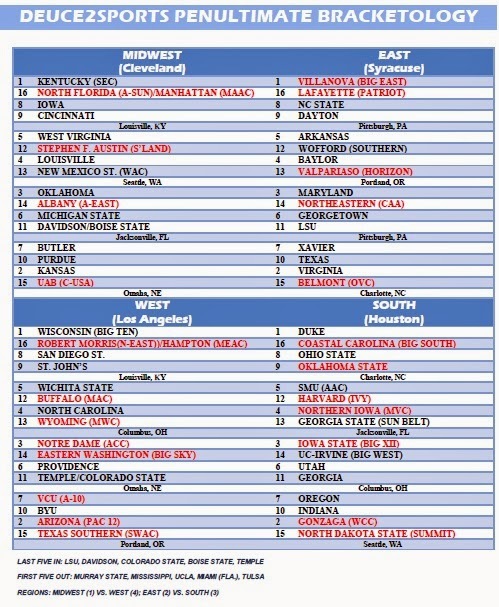 Remarkable might be the most fitting, if only because Duke highlighted every flaw this Michigan State team had (one that most Spartan fans saw all season in losses to teams like Texas Southern and Nebraska) yet this same MSU team beat Virginia, Oklahoma and Louisville - Nos. 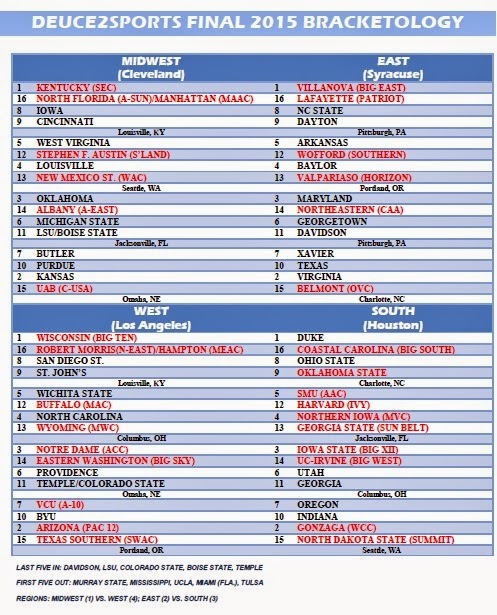 2, 3, and 4 seeds, respectively and pre-tournament top 15 teams. *Worst is always a subjective word. 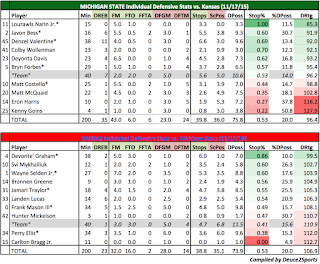 Points-wise, this was the worst loss in Izzo's 64 NCAA Tournament games, however many would argue (with evidence, of course) that MSU's 2009 NCAA Championship game loss to North Carolina (89-72), its 2008 Sweet Sixteen loss to Memphis (92-74), or it's 2001 Final Four loss to Arizona (80-61) were much bigger blowouts even if the score didn't indicate as much. 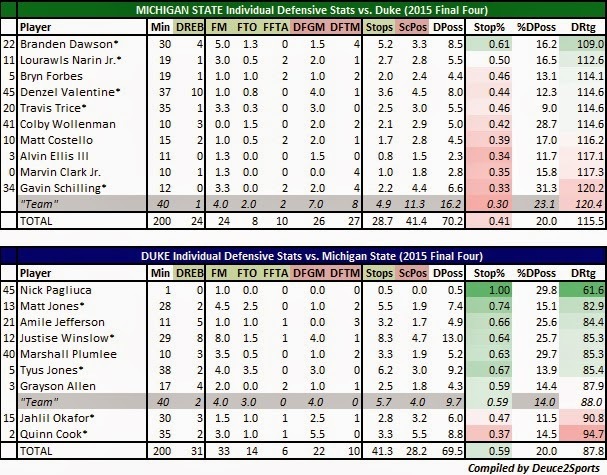 There isn't much debate (unless you consider the 2010 vs. 2015 teams a big debate) that this was Izzo's least expected and least heralded Final Four team. Talent-wise, this team lost a lot from last year and was "rebuilding." 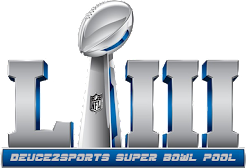 To take this team to Indianapolis via the route it took was incredible.